Discover 10 prayers for your children you can use to prepare them for life and point them toward God’s love. These simple prayers encompass every part of your child’s life: physical, mental, and spiritual. As Christian parents, the #1 thing we want for our kids is to love God and become faithful Christians when they grow up. We take them to Bible classes, encourage youth group participation, and attend seminars. But sometimes we miss out on the most important thing we can do for our kids. But then I think about all the ways He has answered my prayers throughout my life. I see how God has intervened in situations in ways I never could have imagined. When He blessed me with husband who points me toward heaven. When He held me together during life’s storms. When He used my difficulties for something good. For the past several weeks, my husband has been preaching a sermon series on prayer. This series showed me that I’m not utilizing prayer to it’s full capacity. 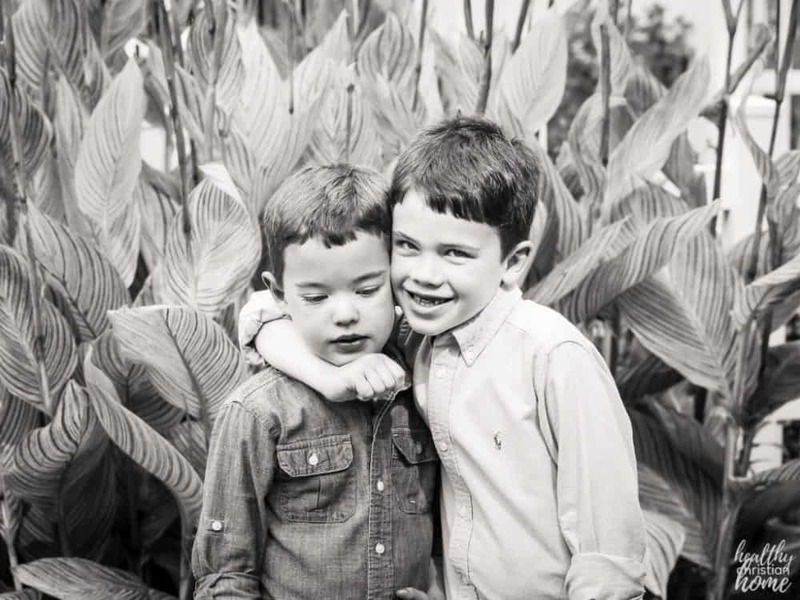 So, this post is a way for me to get more specific and commit to praying for my kids on a deeper level. 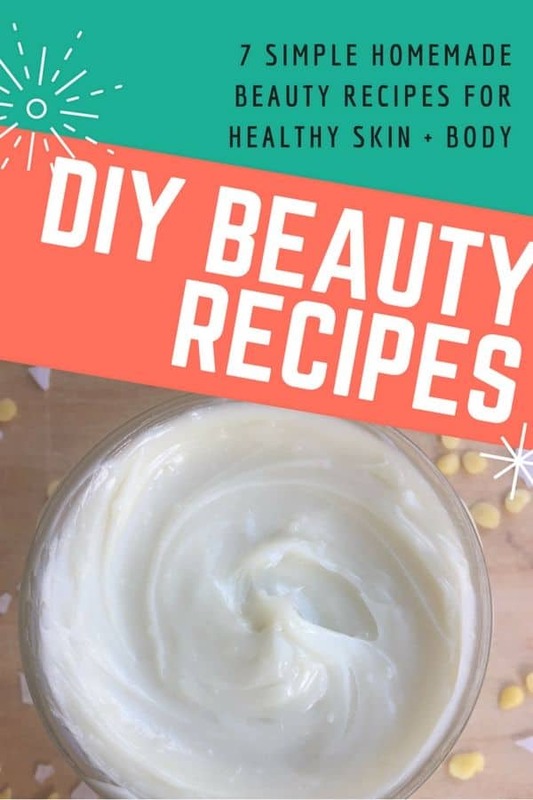 Maybe you need that, too. 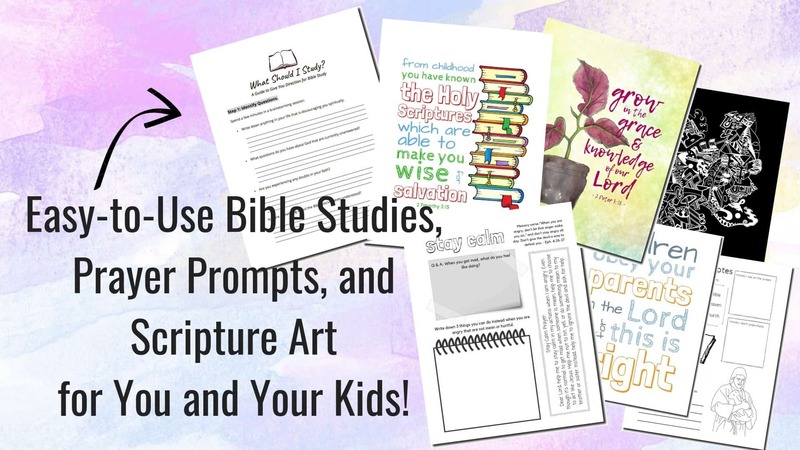 At the end of the post, don’t forget to grab your FREE “Praying for Your Kids” scripture prayer prompt cards to help you on your journey! Of all the things you can pray for your kids, this is the most important. If your kids cultivate a love for God that lasts a lifetime, everything else will fall into place. Lord, help my child love You with all their heart, soul, and might. Let them seek You more diligently than anything else – wealth, fame, hobbies, or even family. Please help me be and example to them in this area and show them that You are the most important thing in my life. For practical tips on ways you can help your child in this area, read “How to Teach Your Child to Love God.” Also, consider starting a daily family Bible time with these tips. Helping your child learn obedience at a young age is vital for their future wellbeing. When they see how important it is to obey authority, they will be more apt to obey God as an adult. Lord, help my child to show love through obedience. Help them to obey me, for in so doing they are learning to obey You. Help them show love for You by obeying Your commandments. Help them to seek Your ways in Scripture, and listen to Your voice above all else. Help them realize Your commandments are more important than human teachings. But, you want to do more than simply force your child to obey outwardly. You want to instill an inward desire to be pleasing to authority and to God. 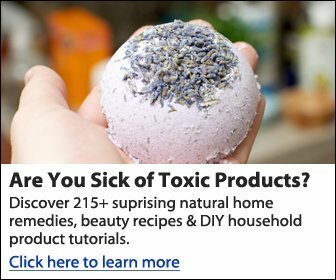 This post by Not Consumed is an incredible resource for this. Kim says, “Teaching children to WANT to obey is far more important than teaching them to look like they are obeying.” Read more. Courage is a necessity in a world filled with hardships. 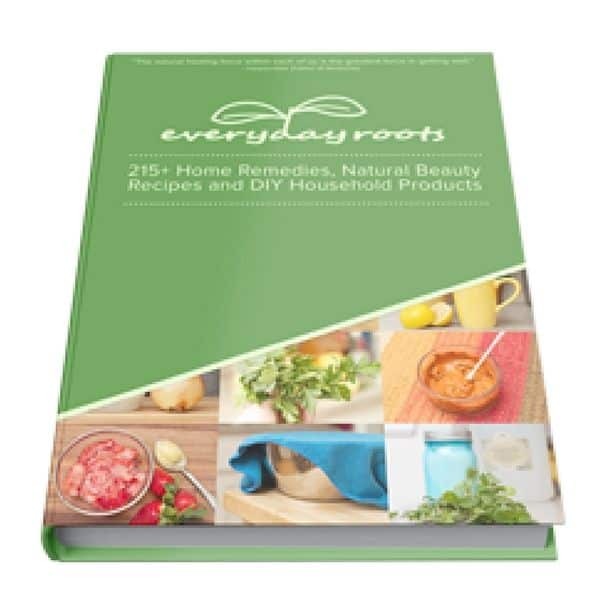 The day is going to come when your child is facd with a seemingly insurmountable trial or task. Will they have the courage instilled in them to make it through? “Have I not commanded you? Be strong and courageous. Do not be frightened, and do not be dismayed, for the Lord your God is with you wherever you go” Joshua 1:9. Lord, help me to instill a spirit of strength and courage in my child. May I allow them to face life’s problems, rather than trying to fix every issue for them myself. Help my child to turn to you in days of struggle and know they can persevere. Help them to know Your presence is with them all the time. Sometimes we neglect teaching our kids the character trait of courage. We focus more on submitting, not ruffling feathers, keeping mouths shut. But there are times when showing true godly character means boldness. Check out this resource by Paul Coughlin for teaching kids courage. One of the greatest characteristics of Jesus is His ability to show compassion for those in need. This is the mark of a true Christian. When your child learns to be compassionate toward those less fortunate, they are exhibiting a servant’s heart. “Be kind and compassionate to one another, forgiving each other, just as in Christ God forgave you” Ephesians 4:32. Dear Lord, Help my child to be compassionate toward those around them. Help me train them to see those less fortunate and demonstrate a giving spirit. Whenever they cross paths with someone in need, help them to reach out with kindness and love. 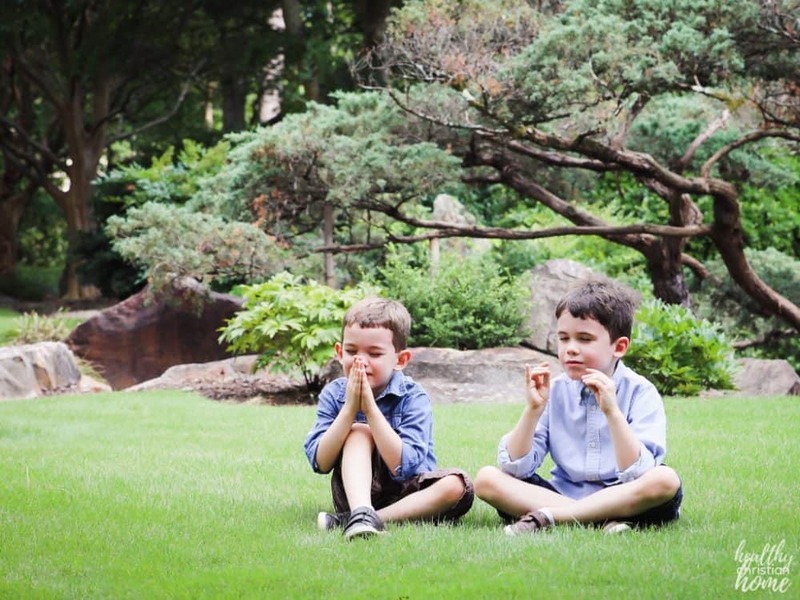 For practical ways to teach kids compassion, here’s a list of 17 ideas. We all want our kids to experience optimal physical health. When they are sick, it’s worse than if we were sick ourselves. Of course, we need to be wise and give our kids everything they need nutrition-wise. But prayer is also an important component of keeping our kids healthy. 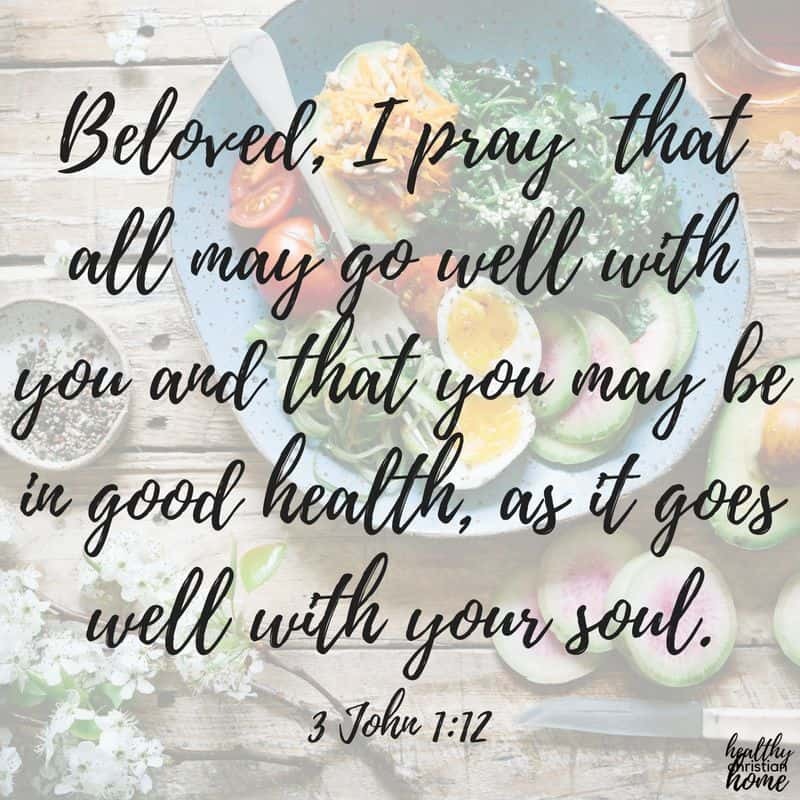 “Beloved, I pray that all may go well with you and that you may be in good health, as it goes well with your soul” 3 John 1:2. Lord, bless my child’s physical health. Help them grow strong and keep their body free from disease. Help them learn to love a variety of foods so they can get everything they need. Please keep their body and soul healthy throughout their life so they can serve You to the best of their ability. For practical ideas on teaching kids a healthy lifestyle, read my post “How to Get Kids to Eat Vegetables (and other yucky things)“. In today’s world, we as parents must be on guard to protect our children’s minds more than ever. I recently downloaded a game on our iPad for ages 4 and up. To my horror, there were commercials within the game using obscenities that no child should ever hear. This made me keenly aware of dangers I never had to face as a kid. For a great resource on this, listen to this Internet Safety in Families podcast episode. 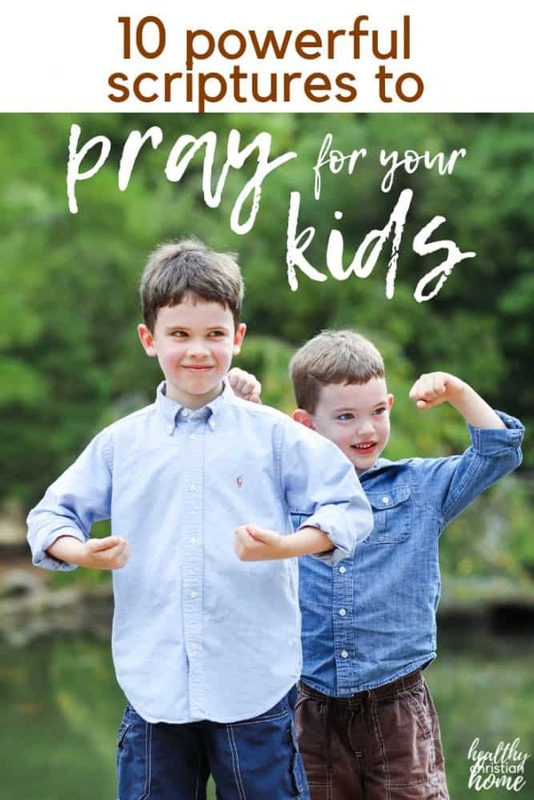 Let’s cover our kids’ minds in prayer! Dear Lord, please guard my child’s mind in a powerful way. Help me, as a parent to shield them from whatever evil I can. More importantly, help me equip them with Scripture they can use to focus their mind on good and pure things. This prayer builds on the previous one, as temptation begins in the mind. Kids need to be aware that Satan is alive and well, and that he is trying to trip us up every chance he gets. Let’s help our kids recognize temptation and give them the tools to deal with it when it comes. “No temptation has overtaken you that is not common to man. God is faithful, and he will not let you be tempted beyond your ability, but with the temptation he will also provide the way of escape, that you may be able to endure it” (1 Corinthians 10:13). Dear Lord, please stay close to my child when they face temptation. Help me to show them that temptation comes in the form of something that looks good at first, but later turns ugly. Help them use Scripture to face the devil’s schemes and find the way of escape. Here’s a super cute video from PursueGOD Kids you can watch with your kids and talk about resisting temptation. Friends that encourage your child to seek God are a huge blessing. But sometimes, your child may not be blessed to have Christian friends they can spend time with. Either way, praying for your child’s friendships is an important part of their personal development. “ Do not be deceived: “Bad company ruins good morals” 1 Corinthians 15:33. Dear Lord, help my child to make friends who will build up their character rather than tear it down. Help them to pursue positive relationships and have the courage to avoid harmful ones. If it’s Your will, please bring plenty of true Christian friends into their lives that will help them get to heaven. It’s never too early to start praying for your child’s future spouse. This is the person who will have the biggest impact on your child’s life and journey toward heaven. “Do not be unequally yoked with unbelievers. For what partnership has righteousness with lawlessness? Or what fellowship has light with darkness?” 2 Corinthians 6:14. Dear Lord, Please bless my child’s future spouse. Help them to love You more than anything else, and help their family to train them up in Your ways. Help my child as they search for the right person, that they will choose someone who will help them get to heaven. For some incredible tips on specific prayers for your child’s future spouse, read this post by Caesar Karlinowski. Praying for the details of your child’s future is a huge benefit to their life. Pray about their career, their home, their family, their friends, and their perseverance in faith. Nothing is too small to pray about. “ And I am sure of this, that he who began a good work in you will bring it to completion at the day of Jesus Christ” Philippians 1:6. Dear Lord, Please bless every day of my child’s future. Bless their career, their future home, and their future associations to glorify You. Most of all, keep them strong in their faith and their love for You. Help them to stay true to You, no matter what difficulties lie in their future path. Also – remember, you can pray these prayers with your children, not just in your own quiet time. Hearing you pray for them will give your child a huge sense of reassurance in the God who walks with them. It also helps them see what important qualities they need to nurture in their lives. A great way to make sure God is a part of your child’s future is to help your child memorize Bible verses. These Scriptures will stay with them forever. Here are 20 of the best memory verses about God’s love to get you started. 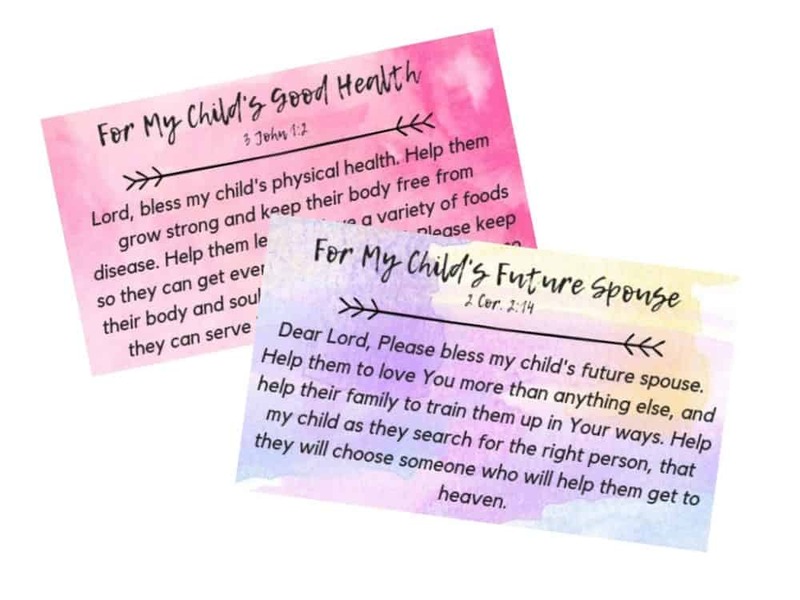 Don’t forget to grab your FREE Printable “Praying for My Kids” cards below! 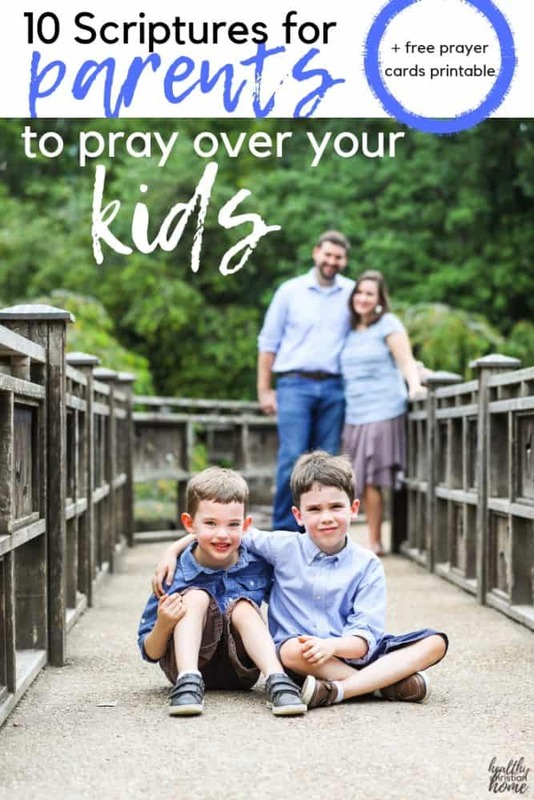 Do you have any prayers for children to add to this list?